GLADSTONE and most of the Queensland coast is bracing for wild weather today as Ex-tropical cyclone Owen continues to move south-east. The Bureau of Meteorology issued a severe weather warning for areas between Cooktown to Hervey Bay for heavy rainfall and damaging winds. BoM said Owen has moved off the North Tropical Coast and at 4am today was about 80km southeast of Innisfail. It is expected to move south-east and will likely lie off the central coast by early Monday morning. 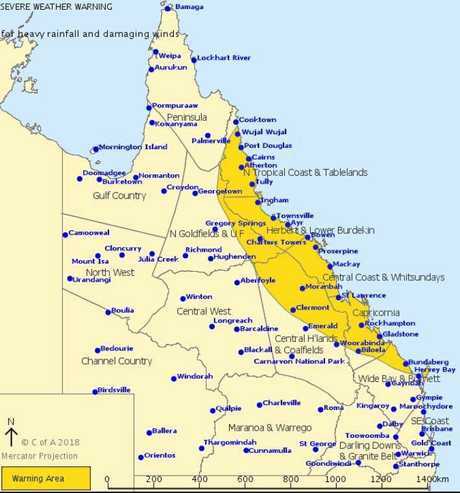 "This heavy rain is expected to extend south into central Queensland today, as far as Bundaberg overnight tonight," the Bureau said. "Scattered six hourly rainfall totals between 100 and 200mm are likely, with isolated higher falls. 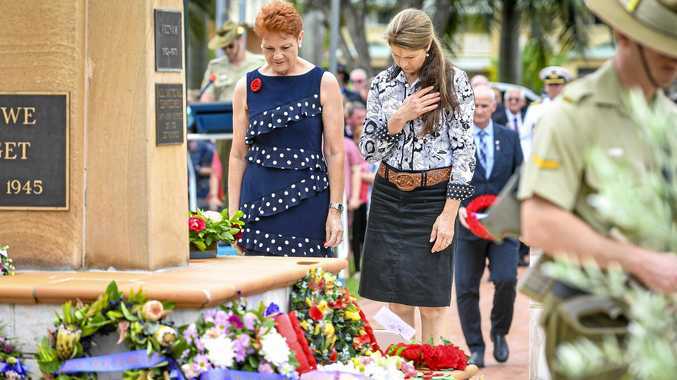 "Locations that may be affected include Ingham, Townsville, Palm Island, Charters Towers, Bowen, Proserpine, Mackay, Clermont, Rockhampton, Gladstone, Biloela, and Bundaberg." The heaviest rain has occurred over the Herbert and Lower Burdekin district, with some areas recording 300mm in six hours. BoM has forecast a 95 per cent chance of rainfall for the Gladstone region today with a chance of a thunderstorm. The tropical low is expected to lie offshore of the Mackay coast on Monday before shifting slow north again during Tuesday and Wednesday, BoM said. It is not expected to redevelop into a tropical cyclone.